Meeting on the sidelines of a summit on China’s new Silk Road plan, Mr Xi told Mr Erdogan that developing strategic cooperation was in the interests of both countries, China’s foreign ministry said late on Saturday. “In order to promote even greater development of relations, China and Turkey must respect and give consideration to each other’s core concerns, and deepen security and counter-terrorism cooperation,” the ministry cited Mr Xi as saying. Ankara vowed last year to keep its doors open to Uighur migrants fleeing what rights activists have called religious persecution in China. Beijing denies accusations that it restricts the religious freedom of Uighurs. 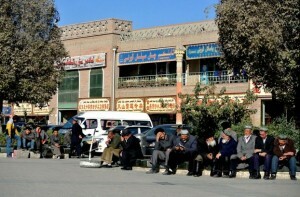 It blames Islamist militants, including those it says come from a group called the East Turkestan Islamic Movement (Etim), for a rise in violence in Xinjiang in recent years, in which hundreds have died. Rights groups say the unrest is more a reaction to repressive government policies, and experts have questioned whether Etim exists as a cohesive militant group. Officials in Xinjiang have stepped up regulations banning overt signs of religious observance, such as veils and beards. Spending on security is rising, jumping nearly 20 per cent in 2016 to more than 30 billion yuan (S$6.1 billion), according to state media. This can be seen in the metal detectors and airport-style security checks in place at major public areas, including Kashgar’s ancient Id Kah mosque, bazaars, malls and hotels. The police carry out spot document checks on pedestrians, and mobile phones are inspected for extremist videos or the use of banned chat applications such as Telegram, WhatsApp and Twitter. Mobile Internet speeds have been slowed from 4G to 3G. “There are maybe 5,000 people making trouble, but the rest of us, 15 million of us, pay the price,” one Uighur man in Kashgar told Reuters. The incidence of attacks reported in state media have actually declined markedly, both in frequency and scale, since a spate of bombings and mass stabbings in Xinjiang and south-western Yunnan province in 2014. 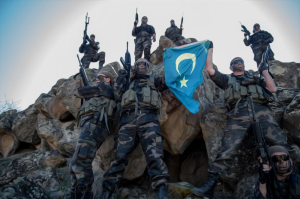 In 2015, Turkey angered China by expressing concern about reports of restrictions on Uighurs worshipping and fasting during the holy month of Ramadan, and Turkish protesters have marched on China’s embassy and consulate in Turkey over the treatment of Uighurs. The two countries have also quarrelled over Thailand’s deportation of Uighur migrants back to China.